Adam Rothstein has a national real estate practice with clients located throughout the U.S., engaging in transactions from coast to coast. For more than 30 years, he has represented a wide range of real estate owners, operators, and users in various real estate and other business transactions. 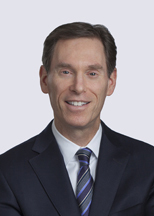 His clients include shopping center, hotel, multifamily, self-storage and office building owners, investors and operators, including publicly traded real estate investment trusts (REITs), as well as some of the largest privately owned real estate firms in the U.S. His advice and counsel ranges from the strategy to the transaction and through dispute resolution. 2018 - "Adam Rothstein is 'business-minded, practical and responsive,' according to one source. He is adept at handing acquisition and financing matters." 2017 – "Adam Rothstein has three decades of experience advising on real estate matters, with a particular focus on the retail and hospitality sectors. One client says that he 'has a great skill in simplifying the complex and communicating it clearly and concisely. He is also very persuasive, business-minded and practical.' Recently, he advised Phillips Edison on its acquisition of 44 shopping centers across 17 US states, with a combined value of $778.1 million." 2016 – "Adam Rothstein acts for a range of real estate clients across the hospitality and retail sectors, including REITs, involved in high-value commercial deals across the country. Observers find he has 'very good technical skills and attention to detail.'" 2015 – "Adam Rothstein has a wide range of transactional expertise and maintains a fine reputation for his work in the hospitality and retail industries." 2013 – "Adam Rothstein acts for owners and operators in major real estate transactions. He has notable experience of advising on retail, hotel and office building projects." 2012 – "Clients value Adam Rothstein's negotiation skills and his ability to execute a strategy effectively, describing him as 'very relationship-focused, efficient and business minded.' He has recently represented Phillips Edison & Company in shopping center acquisitions and refinancings."